I just found this the other day and was so excited I can now organize the books betwixt my Kindle and my Mom's. Thanks so much!! 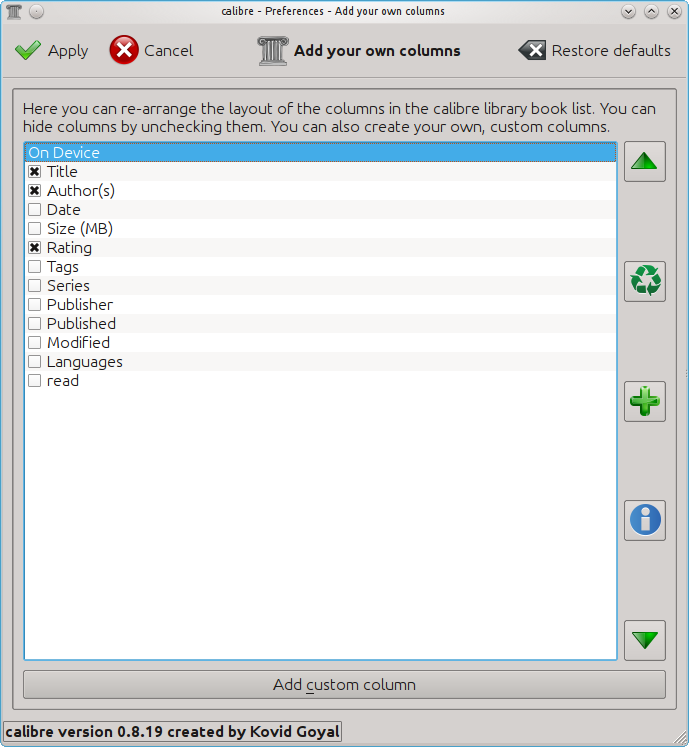 How can I delete (not hide) a custom column? What color names are supported other than the ones shown in the example? Is there a complete list, please? 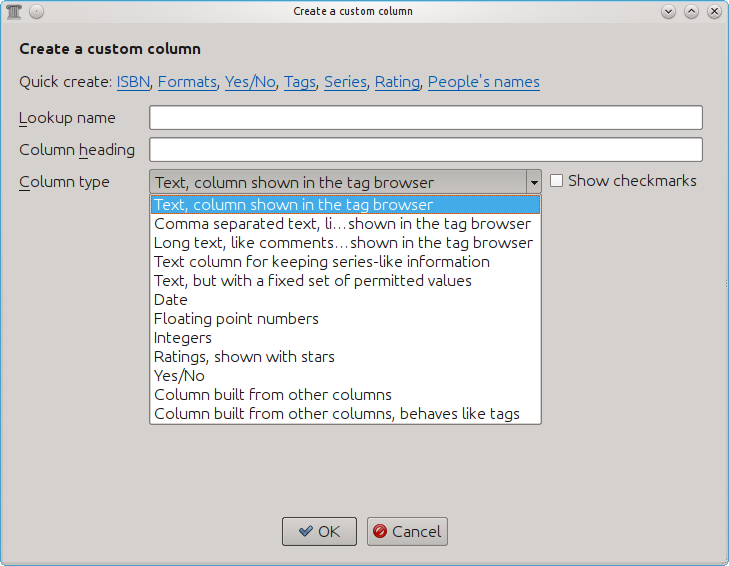 @Sa: click the delete button (recycle icon) in the "Add your own columns" dialog box. 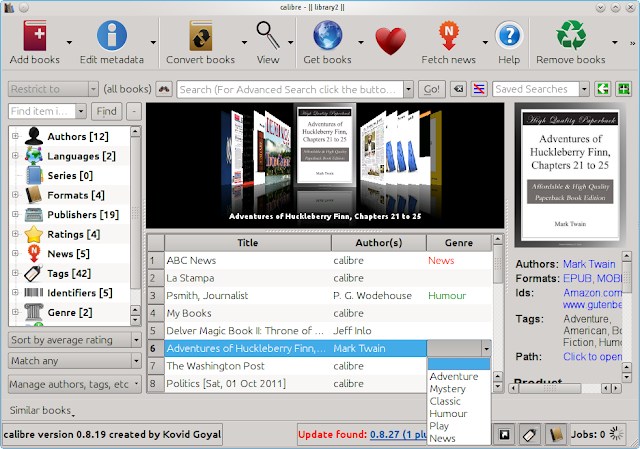 Is it possible to add custom column with reference to another book (with different isbn) ? I see no 'reference' type in available column types. 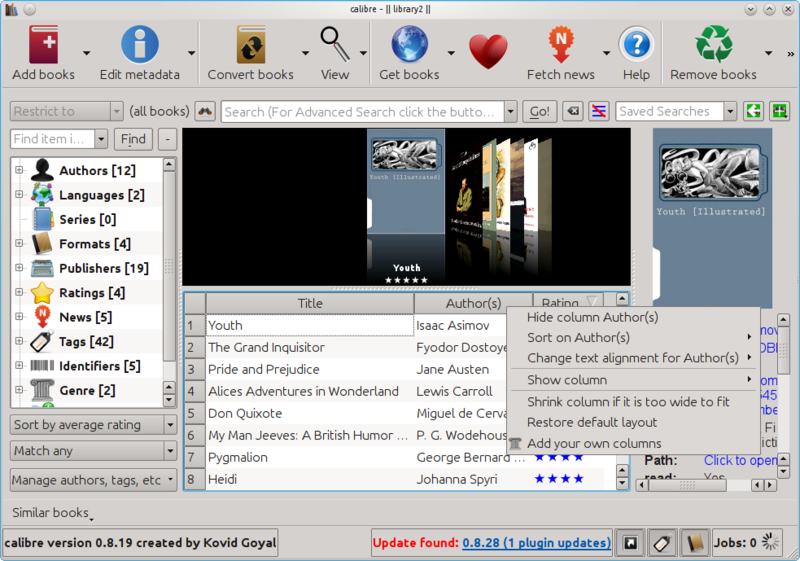 Such feature would be useful for linking together different language translations of the same book.